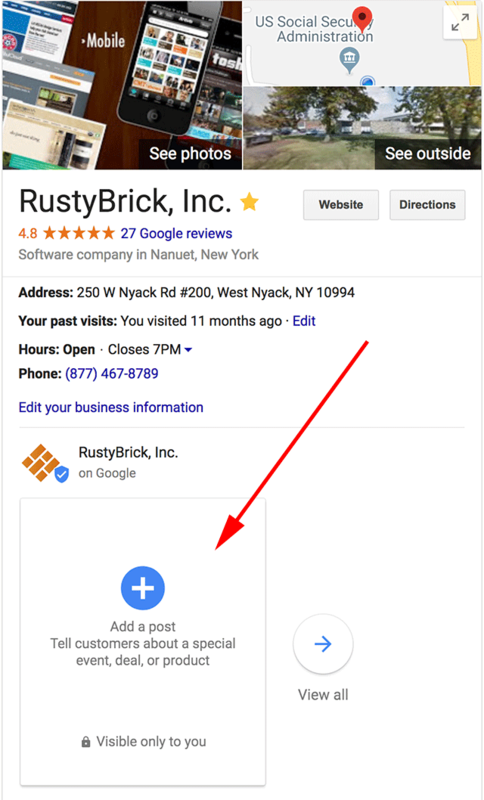 If you are logged into your Google My Business account and do a search for your business, you may see a call to action from Google to add Google Posts to your Google local knowledge panel. Here is a screen shot from my business where Google is saying "add a post, tell customers about a special event, deal or product." I am not sure if this is new - I know I've been seeing this the past couple of weeks. I also have been bad about adding Google Posts over the past couple of weeks. But Sergey Alakov posted it on Twitter suggesting it may be new? Anyway, this is a small feature that is cute. Previous story: Poll: How Are You Going To Fix Your Rankings After The Google Medic Update?